Thanks! 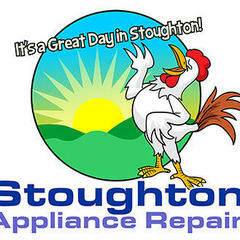 That’s what Appliantology is all about- being the best information tool available for professional appliance techs. This training/info bulletin was very helpful. Thank you for sharing! Looking for mini-manual for Dryer no start. Per my PD, mini manual # is 31-16644. Could’t find it on the site. Thanks! You guys are amazing. That should be good. I'll see if I can get them to grab me a pic of it because they said thats what they keep saying it is. Thanks, missed this one. Saw the one for the *6300 Looks like you get the error codes via the Smart Install Mode on this one. Good stuff! Happy to help! Unfortunately, this is the only fast track that Samsung's got for us, and I assume this is what you were already looking at. The three step process is a distillation of years spent fermenting on this stuff. Think of it as distilled beer. Is that a thing? That's exactly what it was. Changed it out today and seems to be running smooth. Thanks! Have you accessed the mini manual inside the front of the machine? There should be a legend for the diagnostic LED on the control board. Found one for the *6300AW but not this. Figure there would not be much difference but I can not get it into diagnostics with what is on that Fast Track. Hoping it is a different key dance or I am in heap big trouble. Got the manual but it basically stinks. How to troubleshoot the Electronic Control Board and the User Interface on a Maytag Bravos XL washer Model MVWB835DW1?